I came of age in the glory days of romantic comedies: When Harry Met Sally, You’ve Got Mail, Sleepless in Seattle, Serendipity, High Fidelity, Grosse Pointe Blank. (That last one in particular a clever twist on what’s still, at its heart, romantic and comedic.) I have feelings about John Cusack and Meg Ryan that go far beyond normal affection for normal actors. I love Tom Hanks, too, but he has transcended this genre, or any genre, several times over, so for him I simply feel respect, admiration, and awe. John and Meg have not been so lucky, even though both are clearly talented. Their crime, of course, is having been too damn likable and natural and relatable and datable in their 20s and 30s. We all wanted to be them and date them and love them, and we all feel as if we’ve gone through so much with them. They’ve been there for us, on VHS and DVD, whenever we needed them to cheer us up after a break up or give us a way to bond with our moms or share them with our new love (who, OMG, HAD NOT EVER SEEN When Harry Met Sally). As they’ve gotten older and romantic comedies have fallen out of favor, they’ve become less frequent fixtures of mainstream (or in the case of Meg Ryan, any) movies. 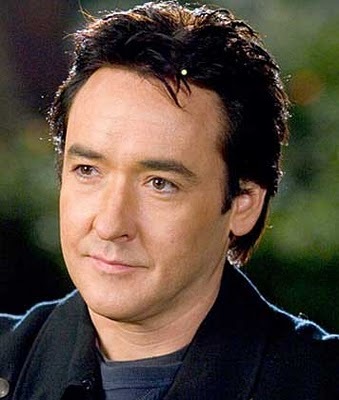 Cusack has gone for quirky roles and politically-charged Tweeting — I am, in fact, kind-of looking forward to seeing him play Nixon in The Butler in a few weeks, among the many strange sites I am anticipating in that film. Ryan has stayed pretty low-key, with just a few appearances in Lisa Kudrow’s Web Therapy. I miss them both as much as I miss great rom-coms in general. To compensate, my fellow entertainment reporter Erin Carlson and I are leading some nostalgic treks to the Upper West Side this fall to visit famous rom-com sites and talk about the history and highlights of the genre. Join us! I enjoyed your article and can’t help thinking it’s a shame Meg and John didn’t co-star in a movie during those glory days of the 1990s.